As negative interactions rise each year between humans and Yellowstone National Park’s wildlife and geological features, so does the need for increased funding to support the park in maintenance and budgeting issues. In Yellowstone, the amount of visitors continues to increase. To adapt to an ever-growing number of park visitors, the park needs to change for the sake of preservation. The National Park Service must reduce the number of visitors to limit possible issues and raise overall revenue. This is a great way to help point the park in the right direction. 2,838,232 people visited the park in 2000. 3,066,580 travelled to the park in 2008. Last year, 2016, there were 4,257,178 people who visited. The growing number of visitors result in damage to the park. No matter what we do to protect the park, humans are always going to leave an impact just by entering. Our first idea for making a change begins with limiting the amount of people or vehicles entering the park each day. Every visitor entering by motorized vehicle affects the ecosystem. Emissions from motors pose harmful effects on the atmosphere and land and wildlife. These emissions will slowly deteriorate the park, continuing to cause problems. Exhaust fumes from cars, buses, motorcycles, and any other motorized vehicle let off greenhouse gases. These gases become trapped in the atmosphere and heat the Earth. This results in global warming which creates issues for land and wildlife. However, that’s not all. Vehicles need very regular maintenance to avoid depositing drops of oil, fuel, and other engine fluids. This is in no way healthy for the animals or the environment we are trying to protect. By limiting the amount of vehicles per day, we’re not only limiting the number of visitors, but also the amount of hazardous materials getting left behind in our treasured park. One solution would be to reduce the park’s daily hours. This would reduce the time that people have to cause harm. Although this would not completely solve the issue of greenhouse gases, it would slow the process. This will benefit the ecosystem and help preserve the park in the long run. Some may think these environmental issues are unstoppable and this may be true, but they are not uncontrollable. With an increase in park security and patrols’ we can slow the progression of detrimental problems in the park. If we slow the problems, we believe we could eventually bring them to a halt. Following these results, we could increase the park’s annual revenue. There are multiple ways we could raise our funding, such as changing the fees to per person instead of per vehicle. This would entail each person in or on any type of transportation to pay a range of entry fees based on age and type of transportation. Many tourists enjoy traveling with pets. If there was a fee for bringing in a pet, it might deter people from letting them go unsupervised. Another factor is pack animals coming through the park. To cover the damage they do and the cleanup after them, the park should issue an annual permit to anyone who regularly enters the park in such case. On the Yellowstone National Park website, it will tell you that for a Day Use private stock trip you are required to have a Backcountry Permit. In order to acquire a permit, you must purchase it at the entrance gate along with entry fee. These fees may not appeal to the tourists, but the park’s outstanding sights will make it worth the slight increase of admission. In conclusion, the negative rise of interactions each year between humans and YNP wildlife and nature needs to be resolved in a hurry. 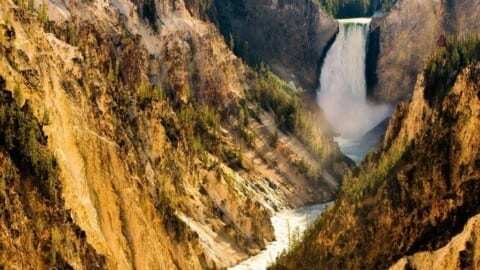 In Yellowstone, the amount of tourists that visit the park annually is continuing to grow. With this in mind, we recommend a few changes to the amount of daily visitors and entrance fees. We feel very confident in our recommendations and hope they are useful and efficient. Yellowstone National Park Policy Debate by Jessly is licensed under a Creative Commons Attribution-ShareAlike 4.0 International License.